​The definition of management is the process of dealing with or controlling things or people. You may think that when it comes to the forest, we just let nature take its course. Managing the 2.2 million acre state forest system is a big part of the mission of DCNR’s Bureau of Forestry. Achieving the Bureau of Forestry’s mission requires the teamwork of thousands of dedicated professionals, whose combined efforts are guided by the State Forest Resource Management Plan. It is the primary instrument that DCNR’s Bureau of Forestry uses to plan, coordinate, and communicate its management of the state forest system. The plan includes the broad policies, goals and objectives, and operational guidelines to ensure the overarching goal of state forest management -- sustainability. DCNR’s Bureau of Forestry developed its first written statewide plan for Pennsylvania’s state forests in 1955. This plan was subsequently revised in 1970, 1985, 2003, 2007, and 2016. There are limitations of a statewide plan as it applies to local forest district management. 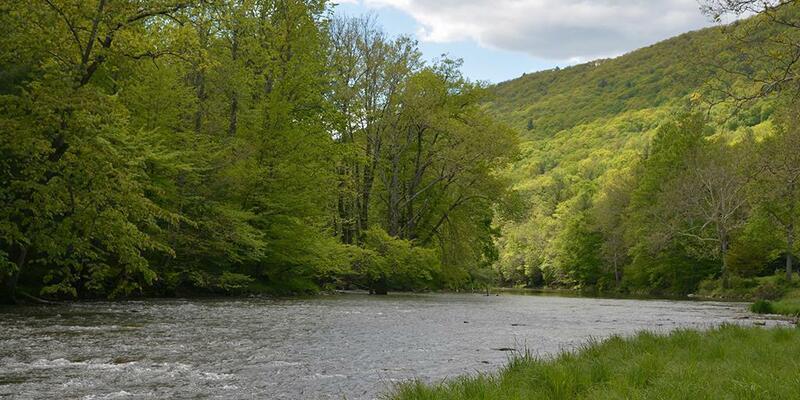 That’s why DCNR also crafts plans specific to each of the 20 forest districts in Pennsylvania. These district plans carry forth a greater degree of local specificity in terms of forest resource management. Public involvement is a critical component of the bureau’s planning process. In developing all of the district plans, public input is sought by a variety of means, including public meetings and online surveys. In December, the Bureau of Forestry completed the final public meeting for the draft District State Forest Resource Management Plans. The bureau held 20 public meetings between May and December of 2018, and drafted 20 district plans covering the entire commonwealth. A two-month public comment period follows each meeting. Online surveys are still available for the meetings held during the end of 2018. They can be found on each state forest district’s respective web page. Hiking, seeking peace and solitude, and wildlife viewing are the three most common uses of state forest land. The top three values that survey respondents place on state forest land are outdoor recreation (such as hiking, biking, and picnicking), provision of plant and wildlife habitat, and provision of clean air and water. The top three threats that survey respondents see for state forest land are coal, natural gas, and mineral extraction, forest pests (including plants, insects, and disease), and forest loss due to development. Through this winter and early spring, the Bureau of Forestry will be busy incorporating peer comments and public input into the district plans. The plans are anticipated to provide the framework for district operations for a period of 5-10 years. The plans should be completed by summer, with the final plans being posted on respective state forest district web pages.